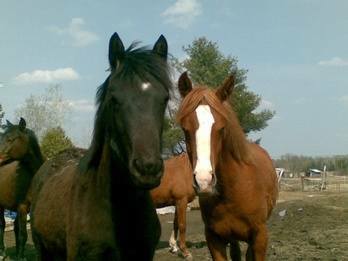 On the 9th March 2007 three of our horses left the UK, bound for Canada on board a cargo plane to land at Toronto Airport, where they walked through the vet inspection straight onto a waiting transport truck to Powassan where they spent 30 days in quarantine. Passing all vet inspections they were transported to their new home on Rabbit Trail Road, Warren, Ontario. 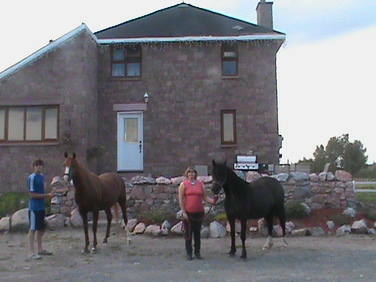 Myself Mark, and my two sons arrived at our new home precisely the same time. 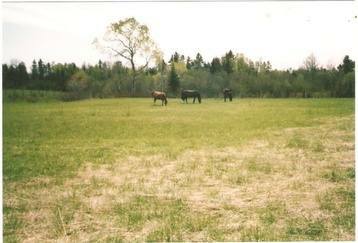 The property was nearly 200 acres, 80 acres grazing and 113 acres woodland of maple, poplar, birch, spruce, fir, pine, etc. Our excitement became quite an adventure, with some of the wildlife in the area (since the largest UK predator is the red fox). 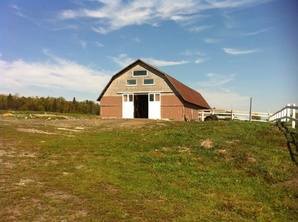 The dream we had was to turn this run down property into a prime horse breeding facility and equestrian centre. Our two mares, Fareesha (Arabian) and Trefrifawr Duchess (Welsh Cob Section D) were put in foal prior to leaving the UK, and gave birth in June-July following arrival. Fareesha gave birth to Rainbow Blaze, now our stud stallion, Trefrifawr Duchess gave birth to starlight. Having been a building contractor for more than twenty years the challenge of reconstructing the house was the first main task, beginning with new foundations and a lot of stripping out, the stage we were at when my wife and daughter arrived, expecting the house to be finished. After the initial shock of very primitive conditions with no hydro (electricity) no running water, flush with bucket etc. Eleanor and Jennifer set about making the house a home while the construction work continued around them. 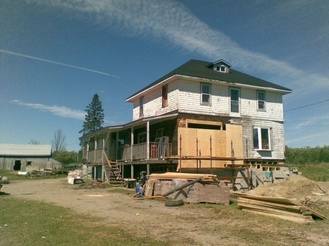 During the following five years Eleanor worked at Sudbury Regional Hospital as a Registered Nurse- providing income for the family, while I Mark and two sons continued with reconstructing the farm interspersed with outside contract work. 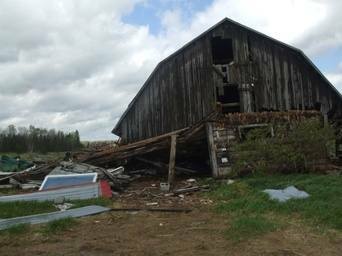 It was not without setbacks however as one day the barn was destroyed in a windstorm. Finding the insurance to be worth no more than the paper it was written on, we set about restoring the barn to something of its former glory now with ten stables and loft storage. We now have a good horse breeding, training facility and are ready to begin with the next phase of boarding up to five horses. We hope to begin a trail riding-eventing business venture, using our own extensive trails with events open to the wider community.